Hailey and Lukas are such a sweet couple! 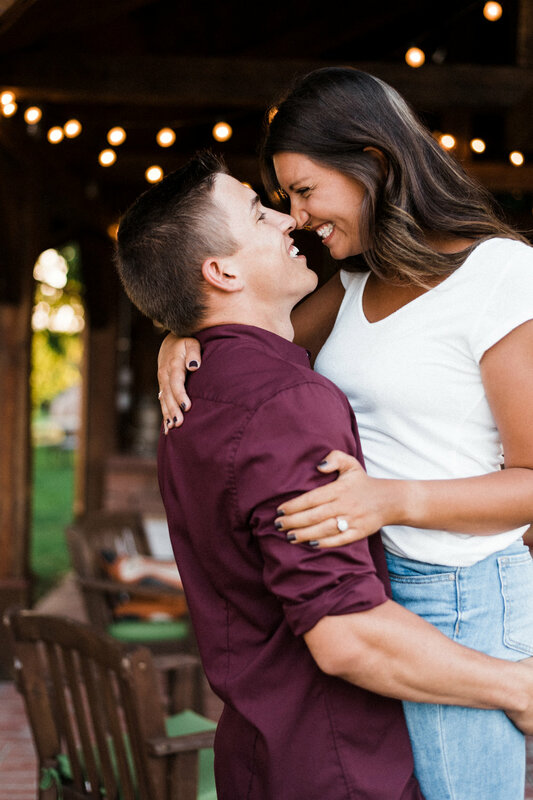 We scheduled their engagement session at the farm of a close family friend. Hailey was so thoughtful to offer to meet me ahead of time at the local gas station, so I wouldn't have any problem finding the right place. Imagine my surprise when she greets me in this stunning blue dress! These are not the farm photos I originally had in mind!! When we arrived at the farm, I was met by the cutest little kittens. To top it off, the property was immaculate and decorated with so much style and care. We could have shot there for hours without running out of adorable little mini photo sets. Mid-session Hailey and Lukas took a break for an outfit change, and I begrudgingly played with the kitties, haha!! 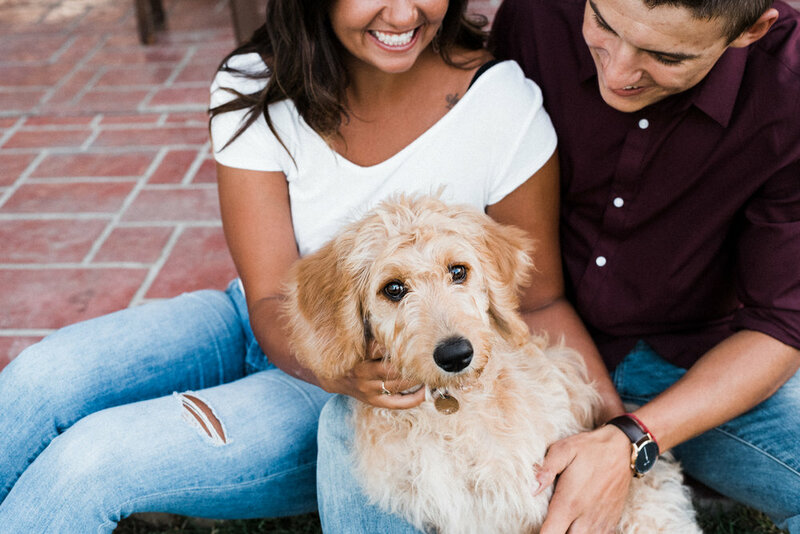 Hailey's family brought Brynn the Goldendoodle to join them for a few photos, and I realized how close knit and family oriented Hailey and Lukas are. Marriage is hard work sometimes, but it always helps to know you have the encouragement and support of your family and friends. 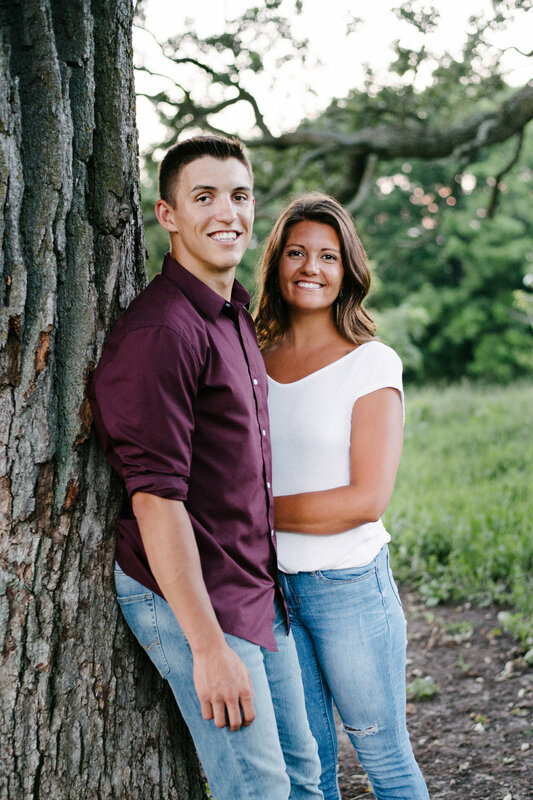 I am so excited to photograph Hailey and Lukas as they become husband and wife next summer!